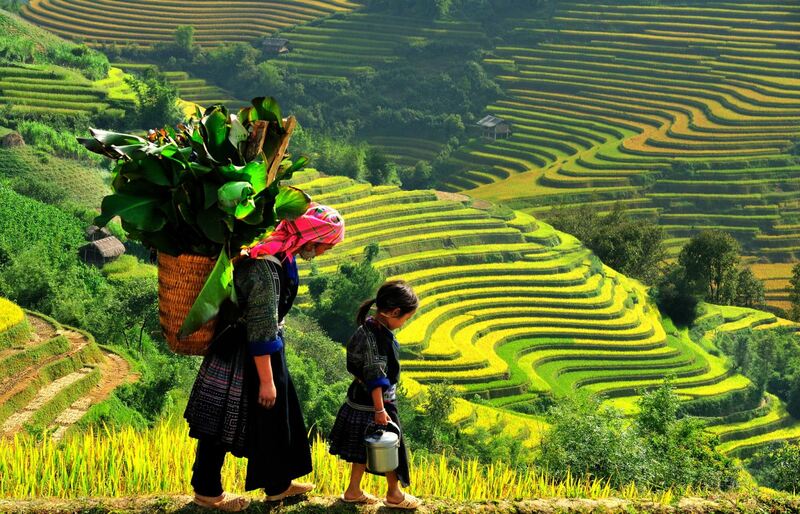 Northwestern Vietnam is distinguished by beautiful, impressive mountain ranges that provide scenic mountain views. With a rich cultural diversity, the region has homestay availability that can bring you closer to the local ethnic minorities and enjoy the friendly and cozy atmosphere while being a guest here. Another really great opportunity to explore the culture and areas all around is through the various weekly markets in the remote Central North. With unsurpassed natural surroundings, cultural sights of great importance and ethnic people filling the air with their various traditions and colorful outfits, one thing is for sure: you could never get enough of the our Vietnam motorbike tours of the North West and Central North! 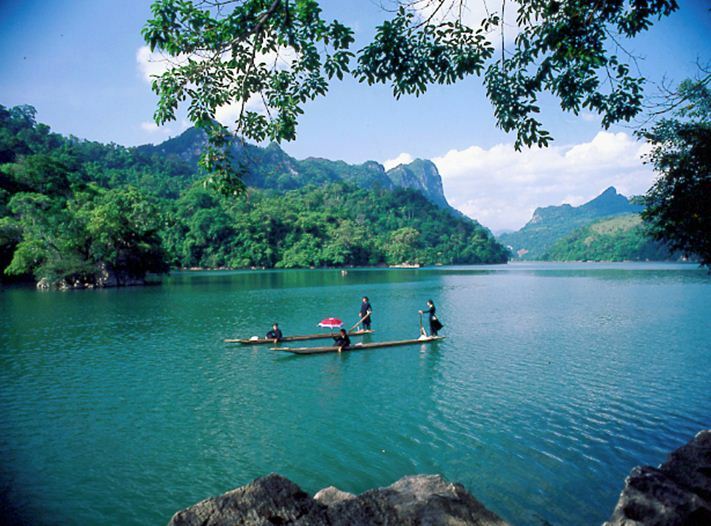 We leave Hanoi and, as we head north, with the Hong Son Lake on our side, we enjoy the magnificent scenery with the beautiful complex of tiny islands, somewhat lost in between the surrounding forests, and limestone mountain peaks that make an idyllic picture-worthy spot. We continue our trip to the north and ride on a smooth road, meeting more charming landscape on our way. In the afternoon, we arrive at Mai Chau, where we have some time to wander and see more of the city, just before dinnertime. After dinner, we can see firsthand a traditional Thai Dance show, until it is time to go to sleep. We spend the night in Thai stilt houses. 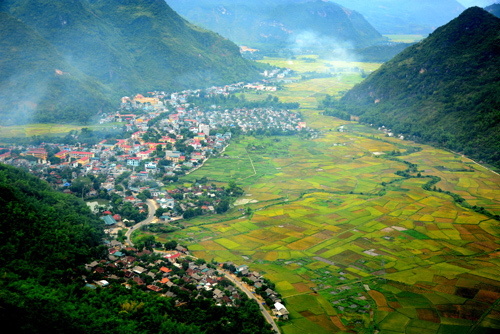 Today we say goodbye to the town of Mai Chau, we continue on our Vietnam motorbike tours and ride the small dirt road. Heading west of the Da River, we go past several caves of much archeological significance, with excellent findings of stone axes and pieces of stripped stone. Then it is time to cross the lake to its other side by the local ferry and move on with the rest of our journey. With majestic mountain ranges to our right and the river on our left, the ride is truly breath-taking. Just a quick stop at Bac Yen for a bite and then we head over the wild river bank and continue to the north. We spend the night in a hotel, in Son La. Right after breakfast, we ride Highway 6 and head to Tun Giao. On our way, the scenery remains jaw-dropping, and we stop to visit the village of Black Thai, after we have passed through the Dark Cave. 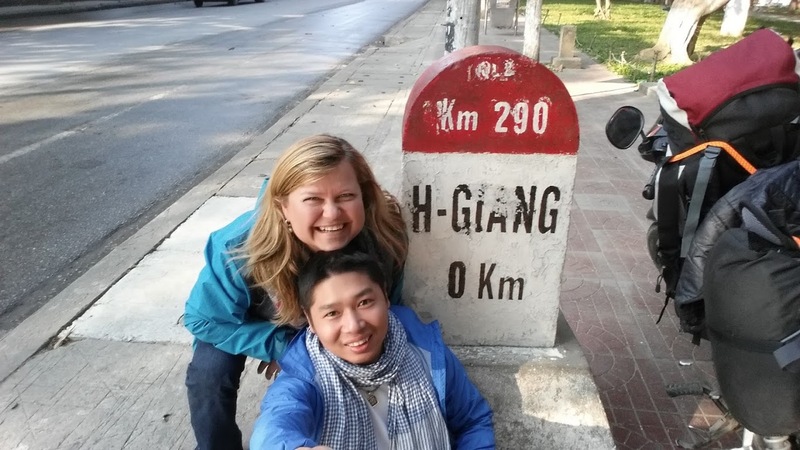 We have lunch at Tuan Giao and then take the 279 Road to Than Uyen. Riding this steep winding road through the lush forests and magnificent rice terraces, is exhilarating. We take a short break at Pa Uon Bridge and allow us some time to get the most of the beauty of the surrounding landscape. We spend the night in a hotel, in Than Uyen. We ride a winding road along the Hoan Lien Son mountain range that take us through a valley full of tea plantations and rice fields lying gracefully next to the Nam Ma River. 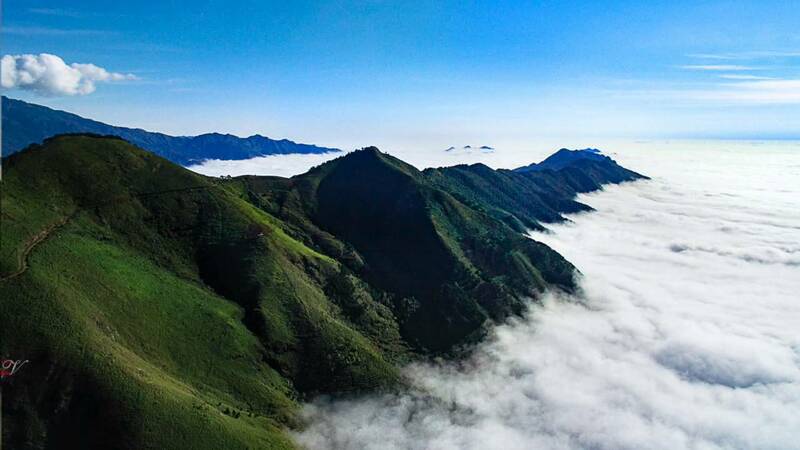 The tribe villages of Dzao, H’mong, and Tay sit on the foothills and the Hoang Sien Son Mountains host the O Ouy Ho Pass with the most heart-stopping panoramic views you can get from over 2,000 meters altitude. At about afternoon, we reach Sapa. We spend the night in a hotel. We finish our breakfast Before we continue on our Vietnam motorbike tours and head down to the center of the Lao Cai province, found next to the borders with China. It is an important place where trade in the North occurs, so we stop for a few here, before we ride to the town of Bac Ha. Bac Ha is popular for its 100-year-old colorful market of the Dzao and Flower H’Mong, among other mountainous ethnic groups. The market is open only in Sunday mornings. We ride a small trail up with stunning scenery that lead us to Ximan, up north, and then continue our ride through a forest flushed with green land. We stop for a while at the Lao Chai village on the mountaintops and be drawn into the enchanting overview of the Chay River that seems as if it goes all the way up in the sky and through the clouds. 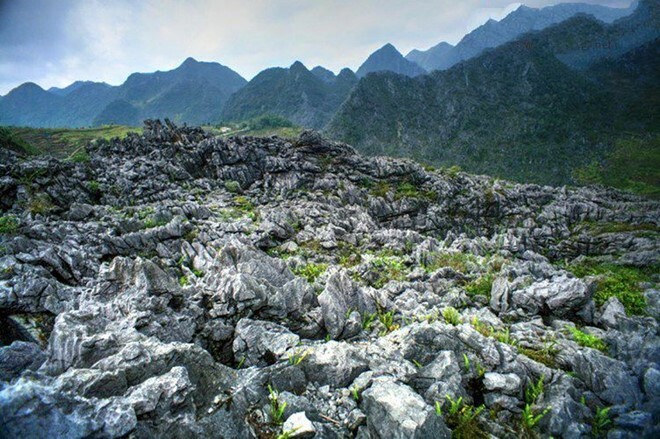 The area has many tracks that we find more than interesting and inviting, which, combined with the amazing natural landscapes, certainly justify its name as one of the most beautiful spots in Vietnam. When we finish eating our breakfast at a local restaurant nearby, we visit the local market, buy souvenirs, take pictures, and mix with the local ethnic minorities (Dzao, Flower H’mong, Nung, etc). Today, we will be testing (and sharpening) our riding skills as the roads that go through the mountain passes are challenging! Lunchtime finds us in Tan Quang, while the last 50km to Ha Giang are far more relaxing and easy, as we rejoin Road 2. Depending on the time, we may even manage to enjoy and relax in the hot springs of Thanh Ha. 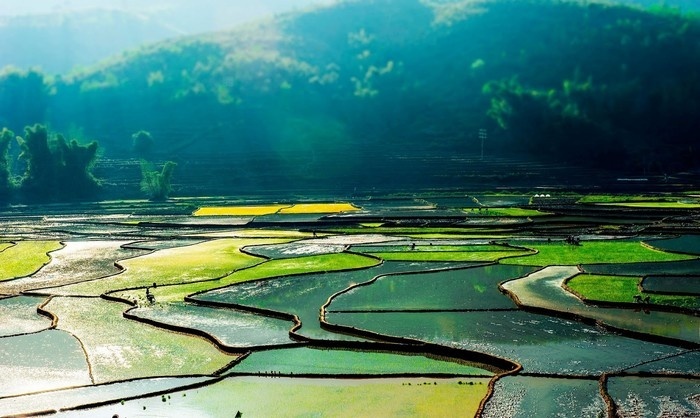 First thing is to obtain a visit permit from the Ha Giang immigration office, so to continue our trip to Quang Ba, Dong Van, and Yen Minh regions. They are areas with amazing natural landscape and views of unspoiled surroundings. People living here are used to work hard and long hours, and they always find a way out of problems of any sort, judging by the fact that they have managed to live on rocky farmlands. They are very outgoing and friendly people that do not seek much in life to be happy. We have a quick break at an info coffee shop, and we could climb up some stairs, to get idyllic views of Quang Ba. We have lunch at Yen Minh, and then visit Pho Bang that was built hundreds of years ago and is home to multi-storey clay brick houses with tiled roofs. While in Quang Ba, we can also visit the Vuong Palace, where the high-rank H’mong family of Vietnam’s purported H’mong King (Vuong Chi Sinh) used to live during the French colonial ruling. It is a fine demonstrator of European-Chinese architecture and is a pole of attraction to all architecturally-minded visitors. Our last stop is at Dong Van, where we sleep overnight. Today we head over the Ma Pi Leng Pass, where we can be carried away by the magnificent landscape overlooking the Nho Que River. 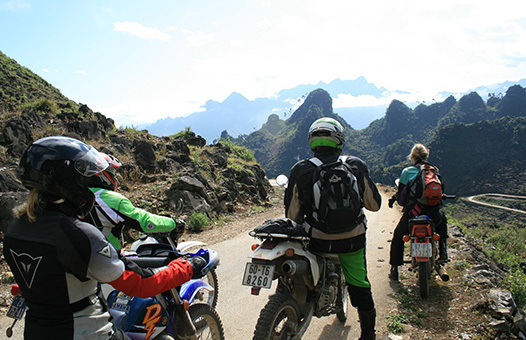 Then, we ride down to Meo Vac, and go past the high mountainous mythical regions of Ha Giang, before we reach Bao Lac, where we stop for the day. 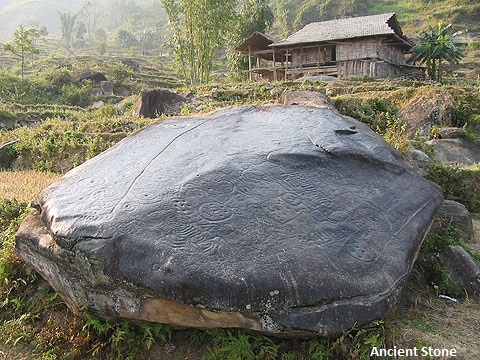 Bao Lac is considered a great ethnic crossroad where ethnic groups of all Northeast Vietnam meet. The Sunday market is a great meeting point for many ethnic groups from both sides of the borders. Today we ride numerous passes and once again challenge our riding skills on the meandering road. However, we can stop many times is needed. In total, the ride will take about 8 hours, including the stops for food and drinks. The night finds us in a Tay community, where we sleep over. We spend the night in traditional stilt houses. As we are still in Bac Ngoi, it is a fabulous opportunity to take the fabulous 2-hour boat cruise and sail through the lake. Then, we stop at the Dau Dang waterfall, to have lunch and, for those that wish, swim! There is also a primary school and the village located down the waterfall that we could also visit, before we get back to Ba Be Lake and head to the An Ma temple. Finally, we trek through the Ba Be rainforests and get the most amazing photos from on top of a nearby tower. We spend the night in local stilt houses. This is the last day of our journey, and we will be heading back to Hanoi. We have an amazing ride ahead today. We take the west side of Ba Be Lake and set out to the south. We go past the city of Thai Nguyen in the Northland; the city famous for the high-quality of its tea. Then, we take a break at Tow, to visit the impressive Vietnamese Ethnic Group Museum of Cultures and see the colorful exhibitions on display that reflect the lifestyle of the 50 tribes that reside in the hills of Vietnam. Estimated Arrival at Hanoi: 5:00 P.M.
What do you think of Motorbike Adventure North West & Central loop / 11 Days?